The Odin's Rage is inspired by Norse mythology. With a polished stainless steel round case measuring 48.50mm x 41.50mm x 10.10mm the watch is designed to make a bold statement. What makes this timepiece so special is the sublime white binary led dial. 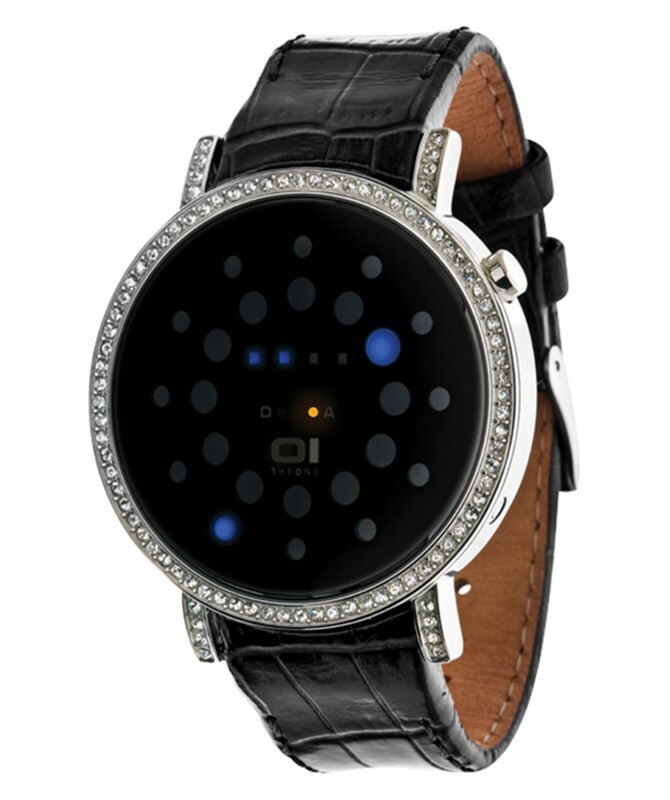 Other fine details include a Swarovski crystal set bezel, white leather strap and mineral glass.